Elegant 2mm wide band, set with 0.06cts of round brilliant cut diamonds in a fully set ring design. A delicate, D shaped profile, Round Brilliant cut Diamond flush set band. 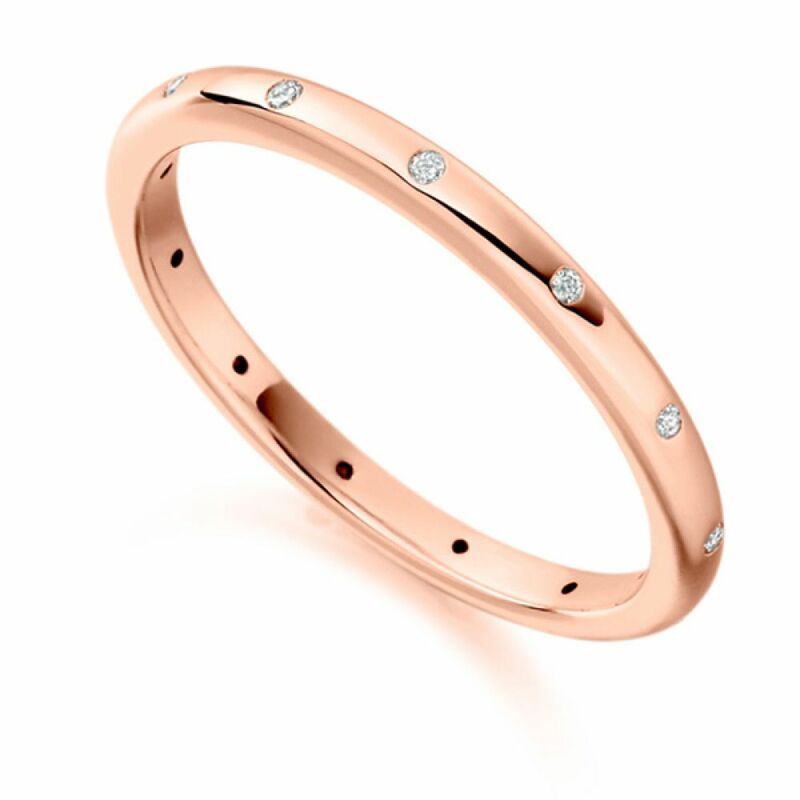 This feminine band is fully flush set with a total 0.06 carats of precisely matched Diamonds, graded F Colour and VS1 Clarity prior to being set. The Diamonds rest gracefully in the 2mm band, which is a stylish D shaped profile. This design is available in 18ct Yellow, White or Rose Gold and 950 Platinum or 950 Palladium. The meticulously packaged ring will arrive to you beautifully presented ready for the perfect moment. Please allow 4 weeks for delivery as the ring is crafted to order.